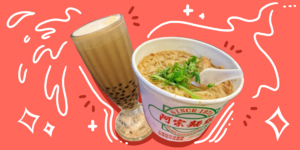 Max’s Restaurant welcomes the holiday season with two spiced up treats to make every day celebrations extra special—or should we say extra spicy? 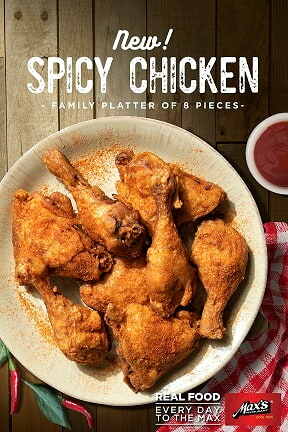 “Customers can now enjoy a spicy, SarapTo The Bones™Fried Chicken with the new Max’s Spicy Chicken. 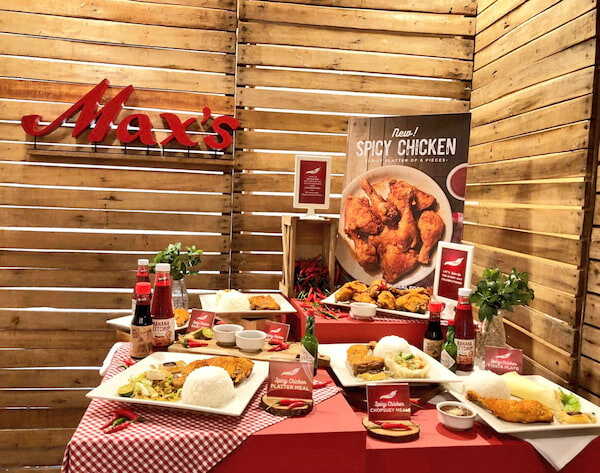 Head to your nearest Max’s Restaurant, try our new Max’s Spicy Chicken, and have a great dining experience!”said Max’s Restaurant National Business Unit Head Paolo Serrano. 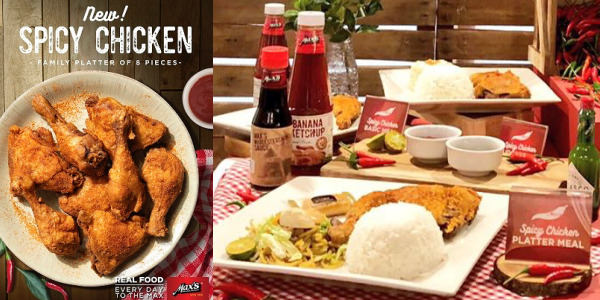 The addition of the Max’s Spicy Chicken and Honey Gazed Chili Crispy Pata to the Max’s Restaurant menu is further proof of the social media awardee on 2018 People’s Choice’s commitment to cater to the changing demands of its customers. With more people becoming more adventurous in their food choices, the Max’s Spicy Chicken and Honey Glazed Chili Crispy Pata are welcome treats for you.